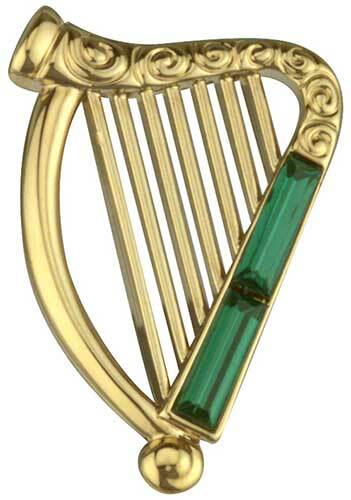 This gold plated Irish harp brooch features emerald green glass stones along with an embossed design along the top. The Irish brooch measures 1” wide x 1 3/8“ tall and is made by Solvar Jewelry in Dublin, Ireland. 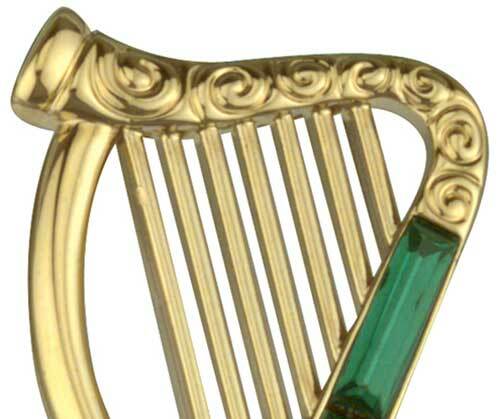 The brooch is gift boxed with an Irish harp history card, complements of The Irish Gift House.